Are you covered for the specific risks that come with contract work? With help from our agents, you can be. We continuously strive to find the contractor’s insurance policies that you are eligible for, and while not everyone qualifies, we can go over different criteria and what you need to do to be better suited for a certain plan. Contract work, by its very nature, covers a broad array of skills, occupations, and exposures. While some contractors may have higher risks of hurting themselves on the job site, others are exposed to heightened possibilities of being held liable for faulty products that cause harm. When you turn to our contractor’s insurance company, you get personalized attention so you can get the kind of coverage you need. 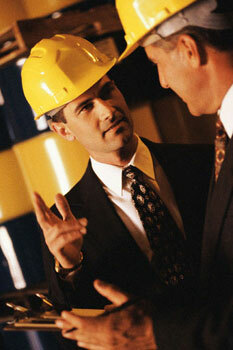 What factors determine your commercial contractor’s insurance coverage? Our agents help you find out. We work closely with you to gather key information that helps you know if you are eligible for certain policies, as well as what your policy needs to cover to make sure you and your livelihood are both protected. Much of what many contractors do can lead to bodily injury. That’s why part of our contractor’s liability insurance deals with bodily injury caused to you by someone else, to you from an accident at your fault, or by you to someone else. This is more comprehensive than workers compensation insurance and better tailored to suit your particular needs. Your policy might also protect against property damage, completed products, personal and advertising injury, and medical expense claims. Our professionals are able to use information about the types of tasks you perform on a day-to-day basis to determine which components are right for you. With our help, you can get the protection you deserve. Count on our agents to provide you with the contractor’s insurance you need to feel safer on the job. There are several reasons to opt for specialty insurance—the first of which is that it protects your business assets. If you perform a service or make a product that harms someone, or they allege that you caused harm, your business assets could be seized. But with the proper coverage, you are shielded from these types of seizures. Furthermore, commercial contractor’s insurance gives you the peace of mind necessary to be more confident in your work and produce better results. Contact us today to learn more about our contractors insurance. We proudly serve people throughout Spring, The Woodlands, North Houston, Tomball, and Conroe, Texas.